The word antelope has been used to describe a wide variety of horned mammals in the Family Bovidae. There are 91 different species of antelopes. They live in Africa, Asia, Middle East and North America. The antelope is found in a wide range of habitats: savanna, woodlands, marshes and swamps, rain forests, steppes, and desert. 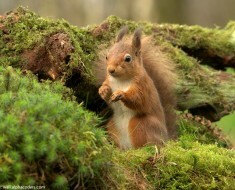 They typically have a light, elegant figure, are slender, have graceful limbs, small cloven hoofs and a short tail. Antelopes live around 10 years in the wild and up to 20 years in captivity. Antelopes vary in size and shape. The giant eland is the largest species of antelope, with a body length ranging from 220 to 290 centimeters (87–114 inches) and stand approximately 130 to 180 centimeters (4.3 to 5.9 feet) at the shoulder. They weigh from 400 to 1,000 kilograms (880 to 2,200 pounds). 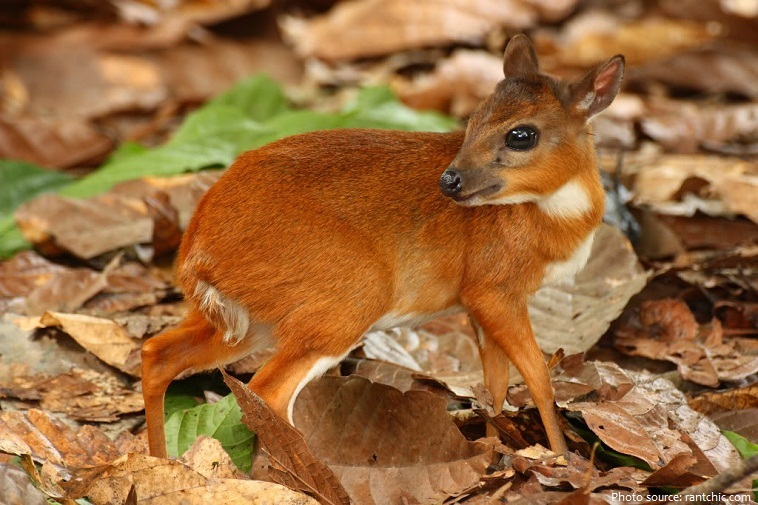 The royal antelope is the world’s smallest species of antelope; it stands up to merely 25 centimeters (10 inches) at the shoulder and weighs 2.5 to 3 kilograms (5.5 to 6.6 pounds). All antelope have horns, they can be straight, spiral, curved or twisted; in some species they are only found on the males, whereas in others, such as gazelles, both males and females have them. The horns are made of a bony core encased in a hard material made largely of keratin (the same substance our fingernails are made of!). Hooves are another specialty for many antelope. Each hoof has a split down the middle, dividing the hoof into two toes. 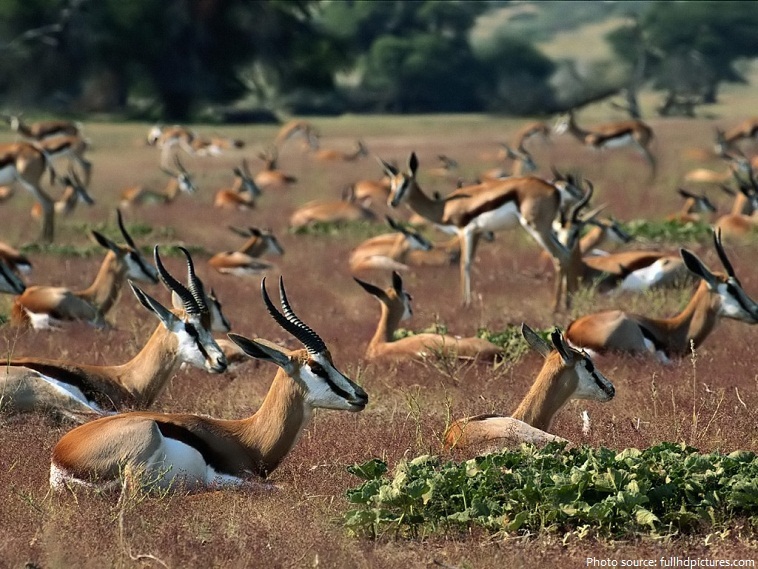 Almost all antelopes are social animals, living in groups called herds. 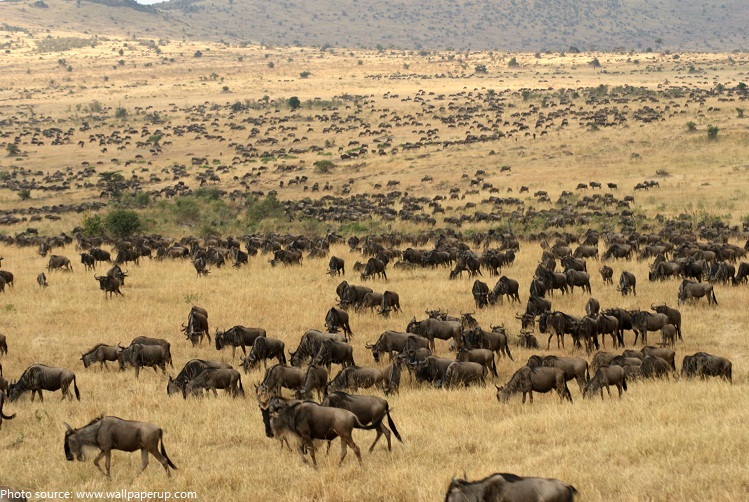 Some antelope are famous for their massive herds, like the thousands of wildebeests making their annual migration across the African plains. Antelopes are herbivores, with an odd exception: some duiker species have been known to kill and eat insects, small mammals, and birds. Antelopes have stomach adapted for re-chewing of the food (they are ruminants, just like all cows). 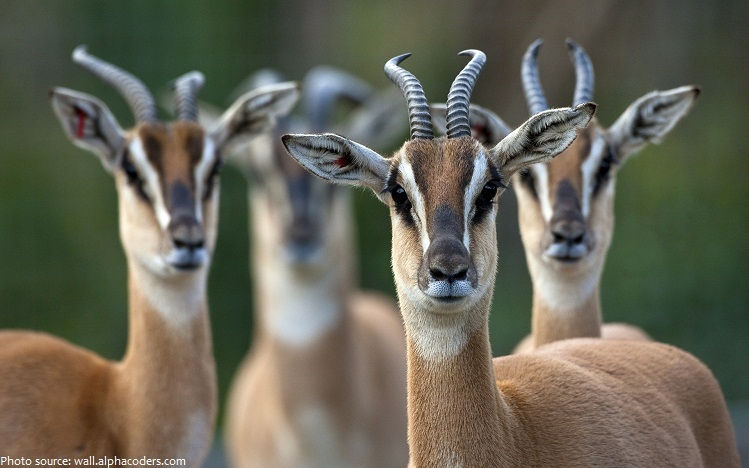 Antelopes communicate with each other using a varied array of sounds. 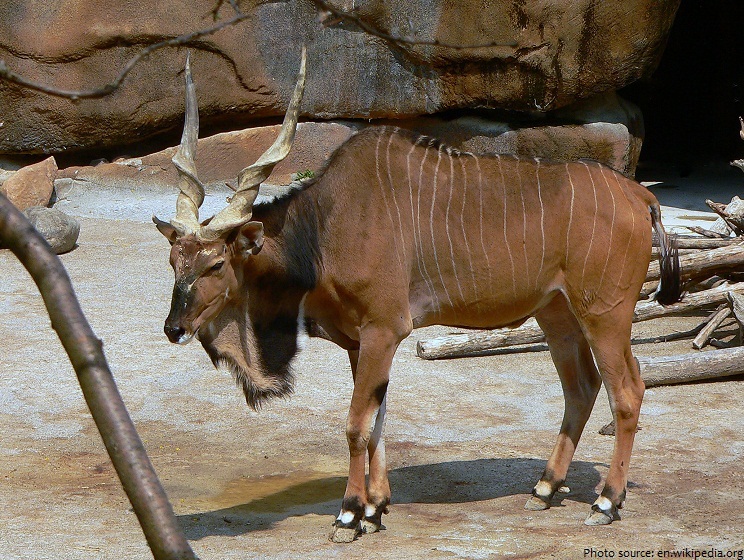 Antelopes also use scent signals to communicate; these signals can linger for many days. Antelopes that live in herds have special glands in their hooves that leave a scented record of their movement. If an antelope were accidentally separated from its herd, it would be able to follow the scent tracks back. Antelope must always be on the lookout for danger, as they make a hearty meal for many predators — leopards, lions, civets, hyenas, wild dogs, cheetahs, and pythons—depending on species and location. Large birds of prey may take young calves. Antelopes rely on their keen senses to avoid predators. Their eyes are on the sides of their heads, and their pupils are elongated horizontally, giving them a broad view of danger from both the back and front. 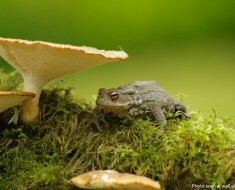 Their senses of smell and hearing are also acute, giving them the ability to perceive danger while out in the open where predators often prowl after dark. Antelopes are fast runners, although they are not the fastest animals in the world. 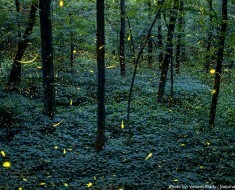 They are good at quick, precise turns, and they can run very fast for extended periods of time. This gives them an advantage over many predators such as the cheetah, which relies on sprinting and can be tired out by the antelope’s greater stamina. Male antelopes are called bucks, females – does and young antelopes – calves. 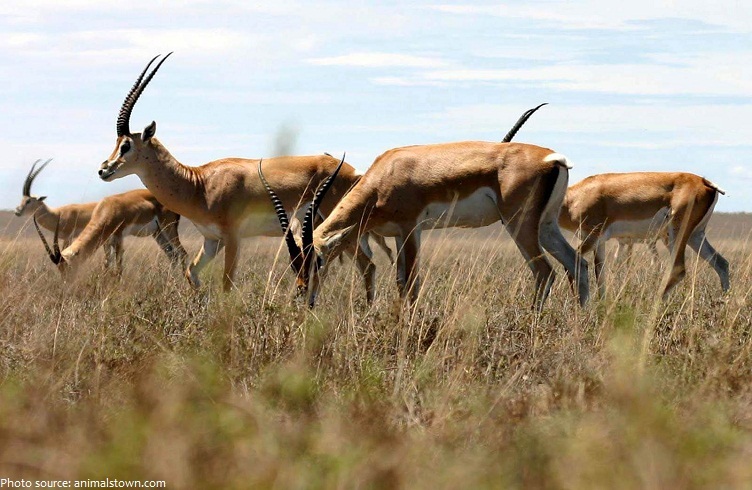 Courtship and mating behavior in antelopes varies. 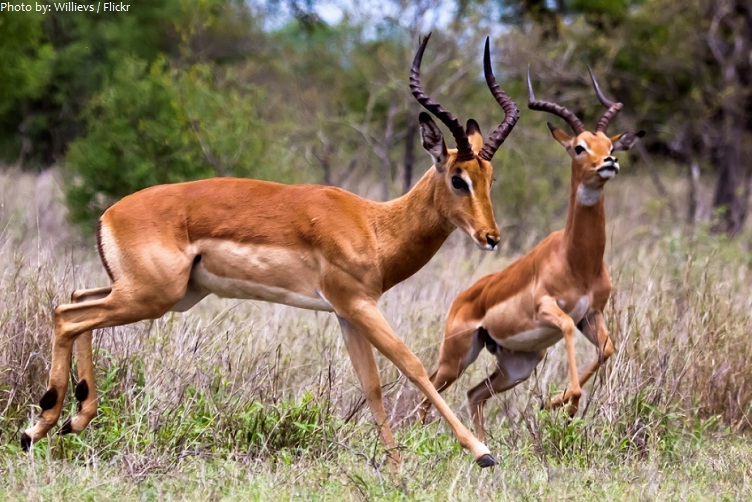 Dik-diks pair up for life, but in most herd-forming species, courtship begins with a protracted contest between adult males as they compete to gather as many females as they can. 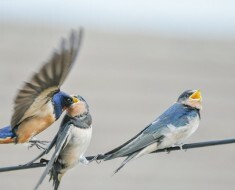 In some species males claim a territory that overlaps the territories of several females. 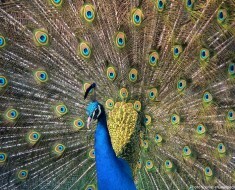 In other species, males fight for control of a small courtship arena, known as a lek. 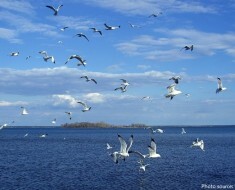 Males who successfully hold their ground at the center of the lek mate with many females, while those on the outskirts of the lek are ignored by females. After mating the gestation period ranges from 4 to 9 months. Female antelopes give birth to a single calf or, more rarely, twins. Antelope calves have two survival strategies: hide out to avoid predators or start traveling right after birth to join the protection of the herd. The majority of antelope use the hiding approach. Between a week and a month or more, depending on the species, the calf then joins the herd and may be put with the other calves in what’s known as a nursery group. 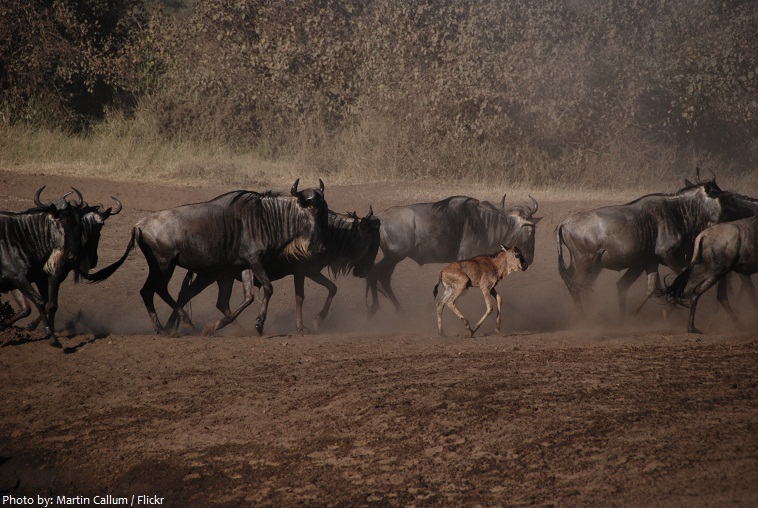 In species that migrate or live on large ranges, like hartebeest, topis, bontebok, and wildebeest, the calves are up and on their feet within a few minutes to a day or so after they are born, and they immediately start traveling with the herd. 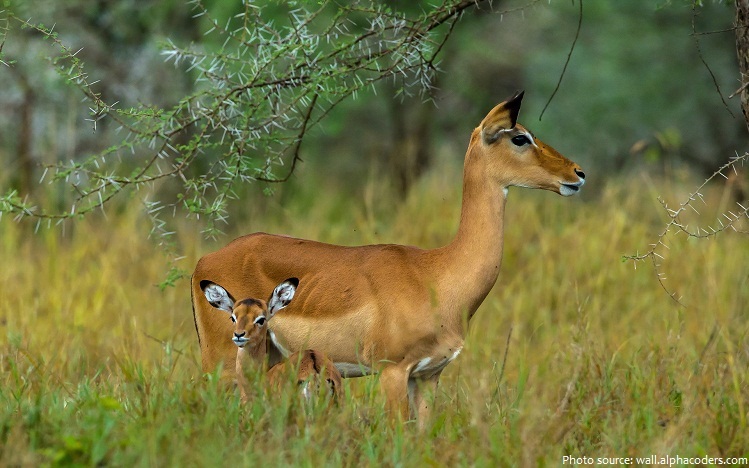 About 25 species are rated by the IUCN as endangered, such as the dama gazelle and mountain nyala. Desert antelope, like addaxes and Dama gazelles, do not need to drink water—they get moisture from their food. 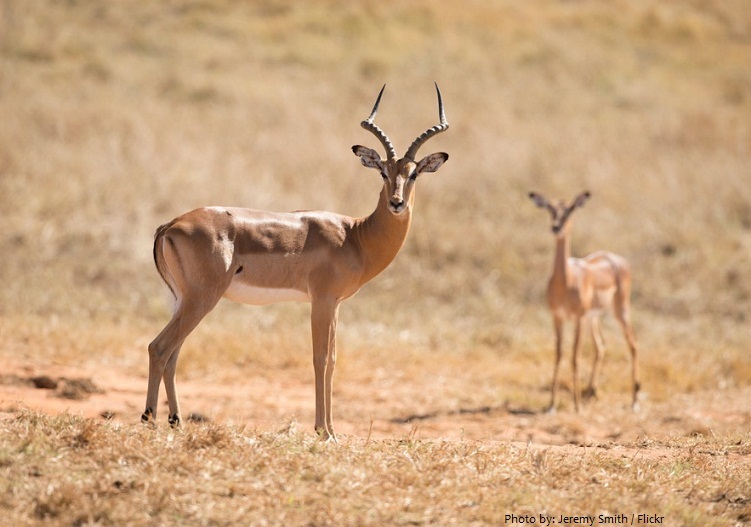 Impala can leap 9 meters (30 feet) horizontally in a single stride. 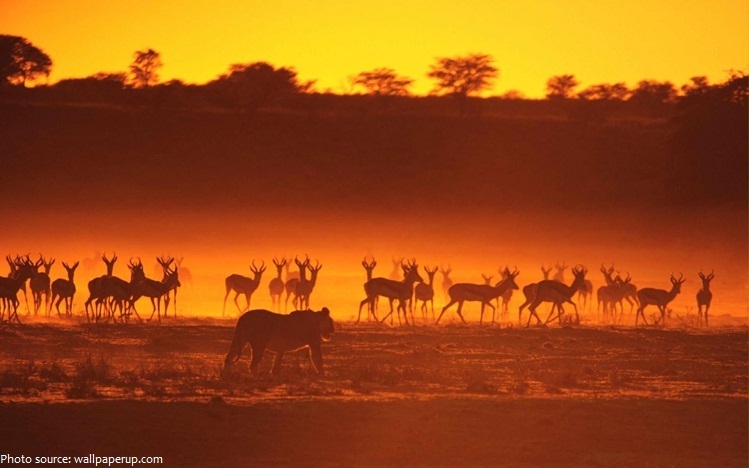 To avoid bushes and other obstacles, impala can soar up to 3 meters (10 feet). The highest jumper in relation to body side is the klipspringer; at about 60 centimeters (2 feet) tall, this tiny antelope can jump 15 times its own height. The pronghorn antelope is capable of reaching speeds up to 100 kilometer (60 mph) per hour. Antelopes are a common symbol in heraldry, though they occur in a highly distorted form from nature.